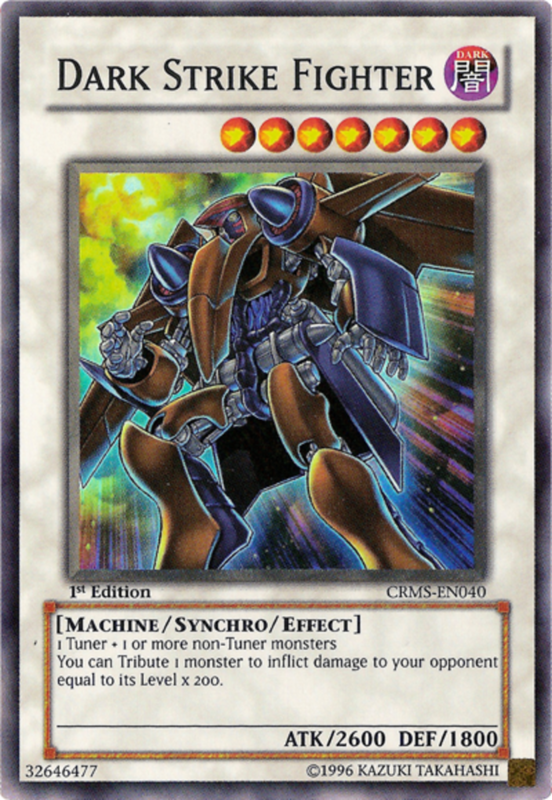 As a quick refresher, If you have a Tuner and non-Tuner monster on your field at the same time, you can sacrifice them to call forth a fearsome Synchro Monster. However, your monsters' levels must add up to that Synchro Monster's level. Check out the example card, Junk Warrior. It's a level 5, and it demands that the Tuner Monster, Junk Synchron, be used with a non-Tuner. 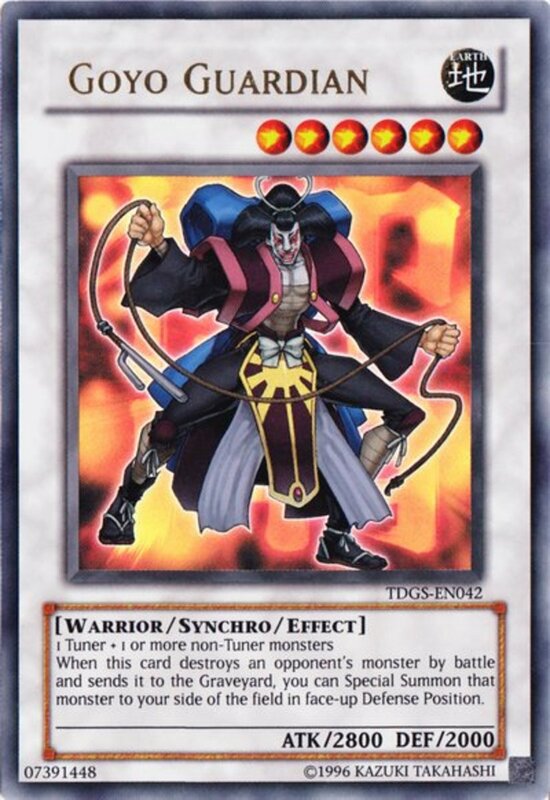 Junk Synchron is a level 3, so you can send it and any level 2 monster to your Graveyard and call forth Junk Warrior. In other words, 3 + 2 = 5. Junk Warrior requires Junk Synchron to be the Tuner, but many Synchro Monsters are more flexible, and will accept any Tuner as long as the levels add up correctly. Basically, Synchro Summons are a quick way to get powerful monsters out on your field. But which reign supreme? 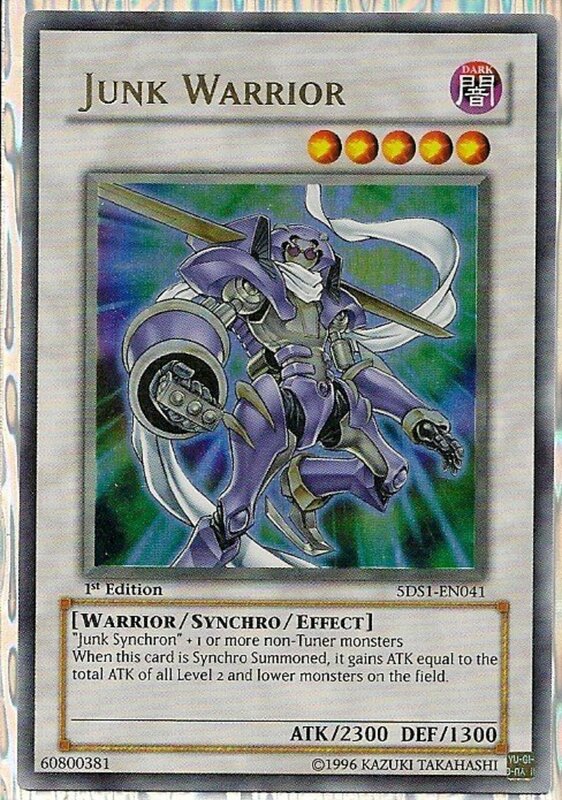 Let's begin our countdown of six awesome Synchro Monsters in Yu-Gi-Oh! This list came debuted several years ago, and some entries have admittedly aged better than others. I hope to eventually release a more-modern countdown, but will leave these entries a testament to the pinnacle of their age. Plus, some (especially the top two) still showcase great power in modern duels! Unlike our example card above, Dark Strike Fighter will accept any Tuner monster. It's a level 7, so your Tuner and non-Tuner could be levels 3 and 4, 2 and 5, or 1 and 6. Regardless of what you use to summon it, its 2600 attack can overcome most enemy monsters. If that fails, the card's monster effect lets you sacrifice one Monster per turn to deal damage to your opponent based on that Monster's level. You could even tribute Dark Strike Fighter itself, inflicting 1400 damage (level 7 times 200)! It's easy to summon, strong, and can assault your adversary in multiple ways. Another Syncho that accepts any Tuner, T.G. Hyper Librarian joins the fray at level 5. It has good attack, and its helpful effect will let you draw a card whenever you or your opponent Synchro Summons a monster. Fourth place goes to the level 6 Brionac, Dragon of the Ice Barrier. Its attack is decent, and it'll take any Tuner Monster, but it mainly tempts with its effect: You can discard any amount of cards from your hand to return the same number of cards on the field to their respective owner's hand. Discarding cards reduces your hand, but if you place some Graveyard-activated cards in your deck, it can actually be an advantage. Or, use Brionac's effect to return a powerful Monster your opponent summoned to their hand, forcing them to gather the resources to resummon it). You could even use the effect to return a card you have played to your hand to reset its timer. For example, the Spell Swords of Revealing Light flips all of your opponent's face-down monsters over, and prevents your opponent from attacking you for three turns. After two of those turns have passed, activate Brionac's ability to return Swords to your hand, allowing you to use its spell for three more turns. Definitely a powerful monster. Here we have another Ice Barrier monster, with a similar effect to Brionac's. Dewloren can also return cards to the hand; unfortunately, he can only return your own cards. However, you don't have to discard any from your hand to use this effect, and Dewloren will gain 500 attack for each card you return, quickly accelerating his attack. Use him with cards such as Swords of Revealing Light or Call of the Haunted to reuse their effects. 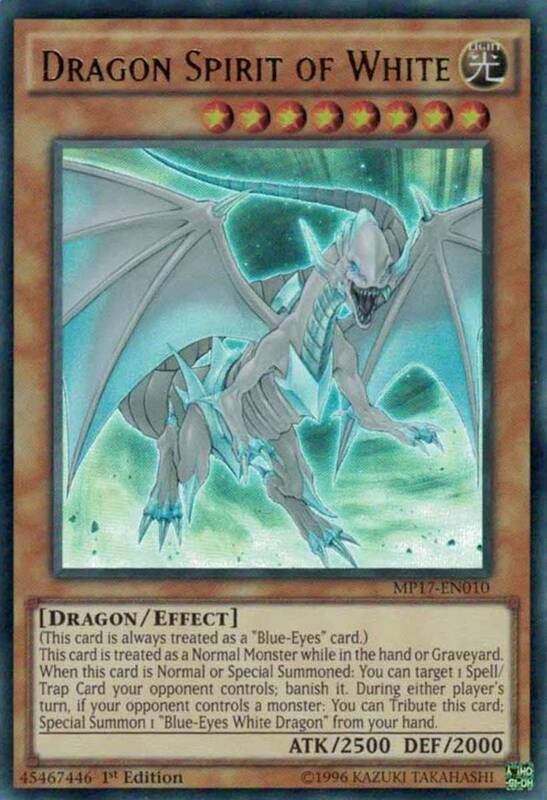 We're not done yet, there's still another Ice Barrier dragon to explore.. In addition to looking awesome, this card wields a stupendous attack and effect. 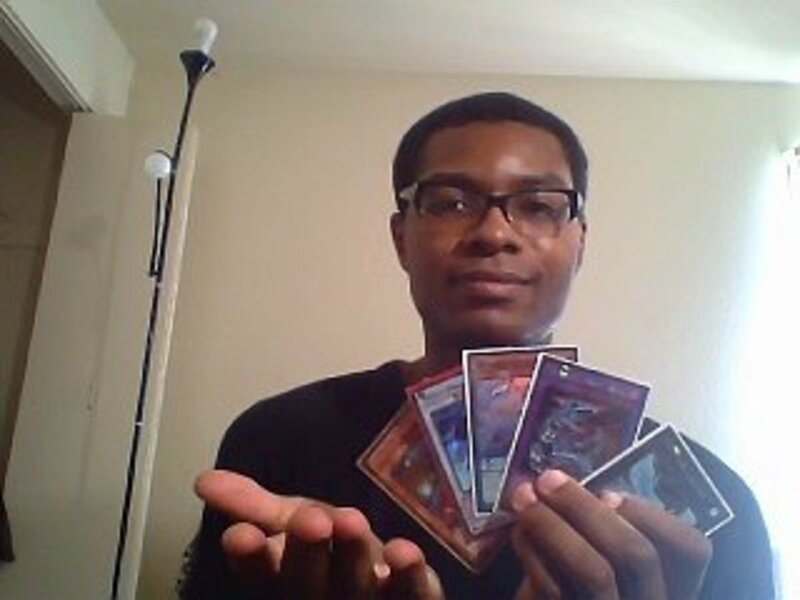 When Synchro Summoned, Trishula allows you to banish a card from your opponent's hand, field, and Graveyard. 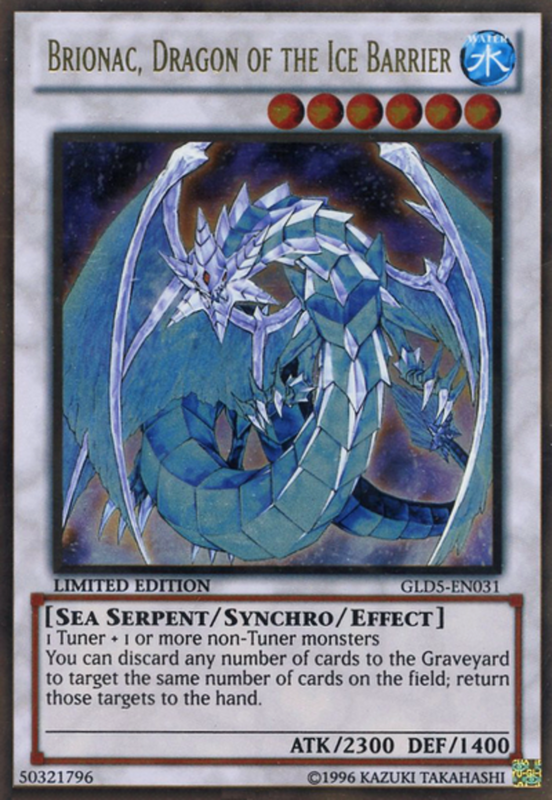 This is an incredible power that can simultaneously eliminate a Monsters, reduce their hand, and eliminate a card they can activate from the Graveyard. Its effect can only be used once, but it still devastates most duelists. Trishula will take any Tuner, but demands at least two non-Tuner monsters, making it harder to wield than the other Synchros in the countdown. Still, Trishula shines as one of the most powerful Synchro Monsters. Whenever you end your turn, gain 600 Life Points for each Psychic-type Monster you control. Can negate an opponent's effect that destroys a card on the field. Can destroy all cards on the field, and reduce opposing Monsters' attack to zero by banishing a Plant Monster from your Graveyard. Each of these monsters have solid attack, defense, and effects. Meet a personal favorite, Goyo Guardian. A level 6, Goyo accepts any Tuner Monster. He has a massive 2800 attack and a solid defense. And check out Goyo's effect: whenever he defeats an opponent's Monster (not hard, given his high attack), he can Summon it to your field in defense position. At the very least, since they come out in defense mode, they'll act as a shield to protect your Life Points. Considering its high power and amazing effect, I'm surprised this card has been legal for so long. In short, Employ Goyo Guardian to turn your opponent's warriors back at them! Which monster seems best to you? Trishula, Dragon of the Ice Barrier. 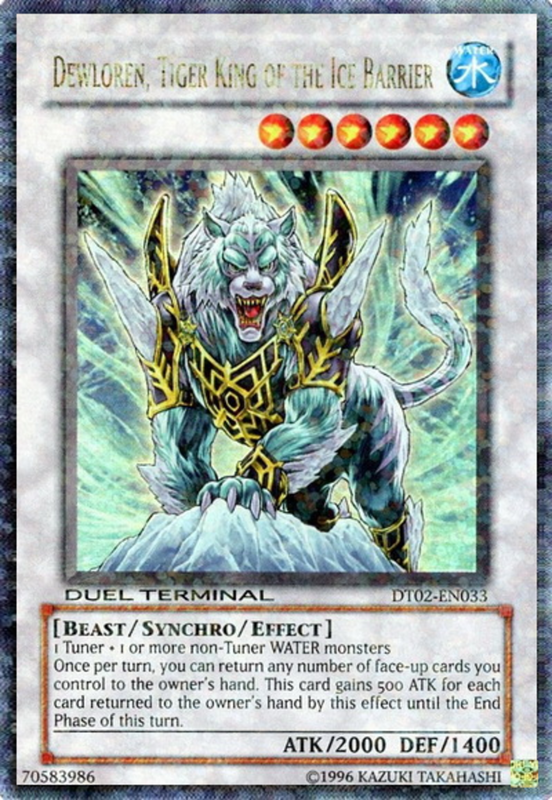 Dewloren, Tiger King of the Ice Barrier. Brionac, Dragon of the Ice Barrier. Hopefully you learned about some awesome classic Synchros. Let me know which you prefer, and I hope to see you in our next Yu-Gi-Oh countdown! Update: Though dated, this list still highlights several menacing cards, especially for their time. Some aged better than others; regardless, keep an eye out for a more modern Synchro countdown! 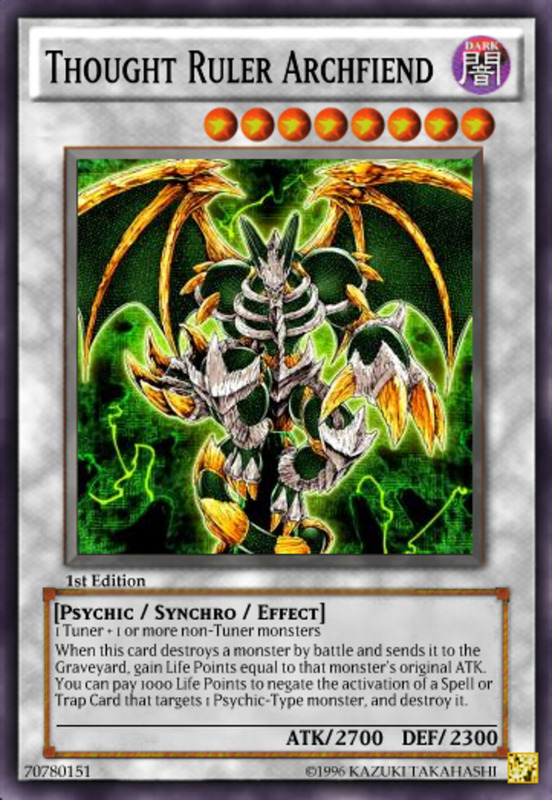 Why isn't Thought Ruler Archfiend in the top six Synchro Monsters? Thought Ruler is a great synchro, but at the time this list was made, it simply didn't quite make the cut. Ruler's second ability (which can negate a spell/trap that targets a psychic monster) isn't as useful as it may seem. 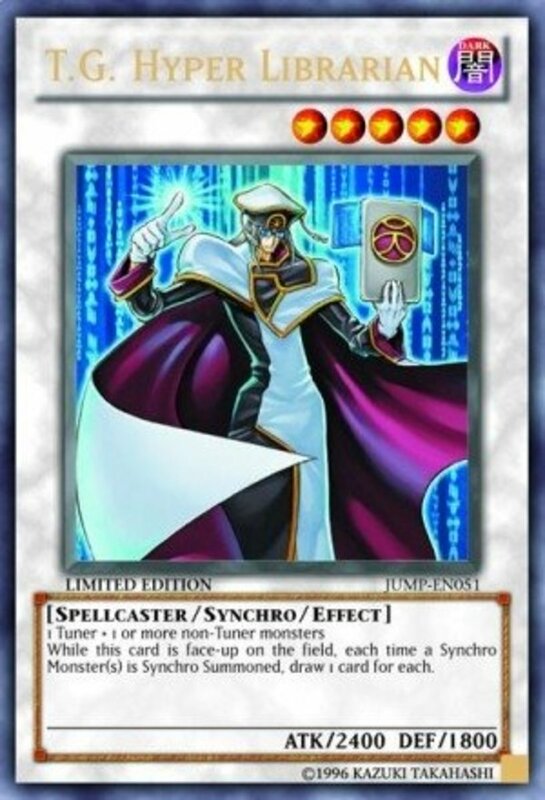 It can't negate popular cards that don't target (Raigeki, Mirror Force, etc. ), requires the target to be psychic, and you must spend 1000 life points to use the trait. Definitely still one of my favorite synchros, though. 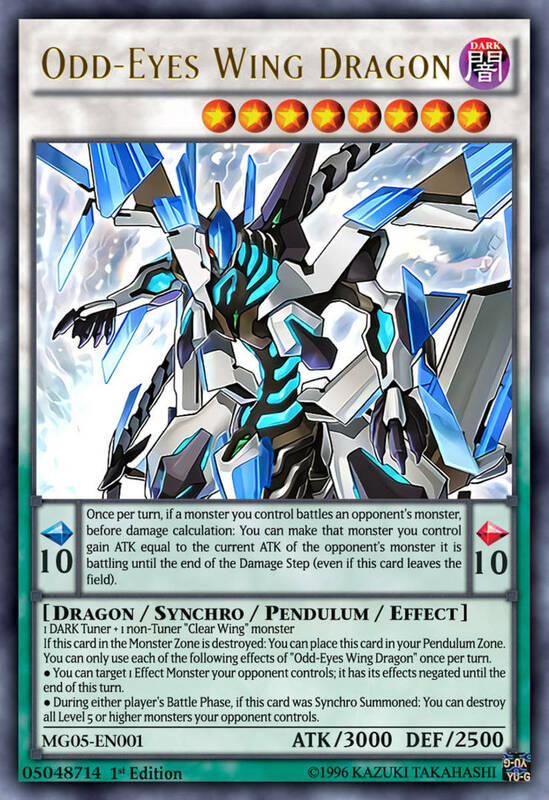 Why isn't Clear Wing Synchro Dragon in the list? This list was made several years ago, before Clear Wing's debut. But you might find some familiar faces in a more-modernized synchro countdown I made! -2 tuners and Red Dragon Archfied. 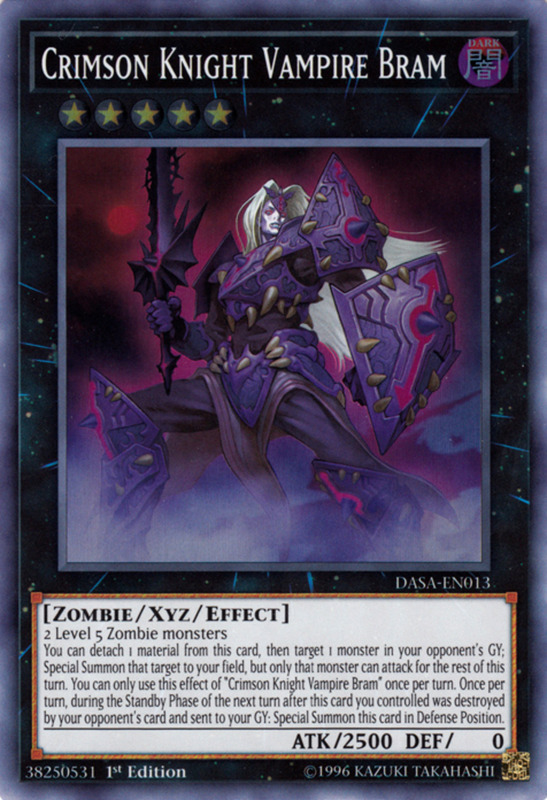 He gains 500atk per tuner in the graveyard making him op in synchro/tuner focused deck. He also cancels effects and attacks which is really nice. 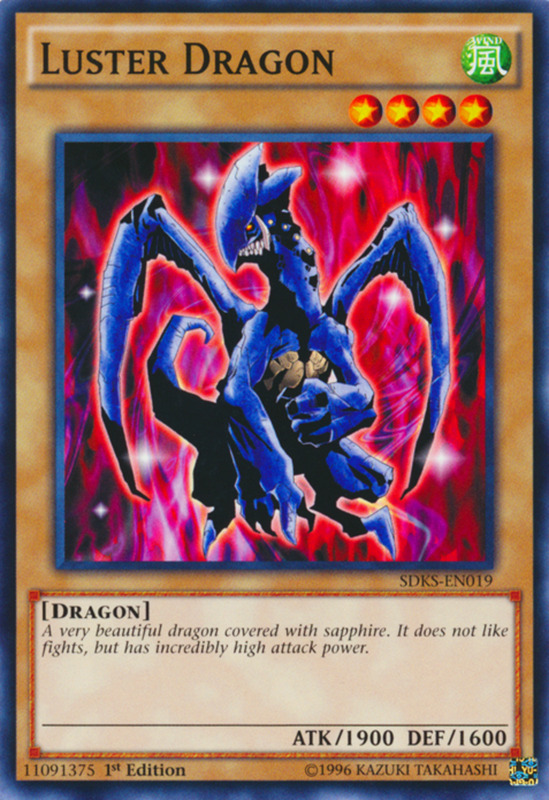 It's true that Shooting Quasar Dragon is very difficult to summon, but it is still possible to summon it in one turn, especially with Level Eater. @Zoren Blackwing Armor Master certainly isn't bad, but the fact that he only accepts a Blackwing Tuner greatly limits his synchronization with most decks. Where is blackwing armor master? He is easy to summon with a 3 star tuner and he can't be destroyed by battle. Also the fact that he can make make most monsters arrack and defensive zero is a benefit. Alright, thanks for clearing that up. @Dyugiohd, you nailed it. Shooting Quasar is definitely powerful, but has very difficult summoning conditions (you need a tuner that's *also* a synchro, and at least 2 non-tuners), lowering his overall usefulness. hey, hey. Where are all the stronger synchros? LIke shooting quaser dragon. Is this list only for the easier to summon monsters with good effects? Like a summoning to usage ratio? these cards seem great for combos, but there are stronger cards i know. 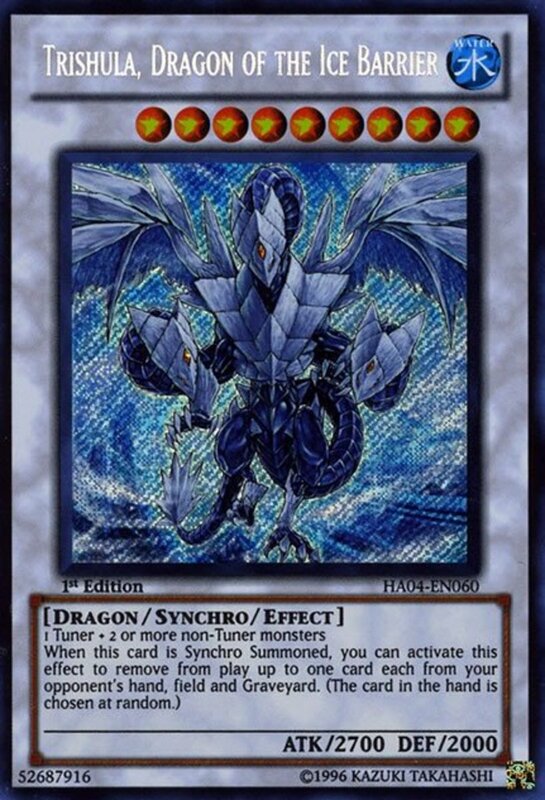 Where the hell is Crystal Wing Synchro Dragon, the overpowered sonofabitch? Stardust is good, definitely a candidate for the list. However, its effect can't block effects that return to the hand or remove from play, which has slightly diminished its potency. Goyo probably is overpowered, haha. Goyo is best, but a bit over powered. He should be level 7-8 , or have 2400-2500 ATK.